My little page for storing gifts and awards that Moonkitty.NET or myself have gotten. Note: I do NOT accept gift or award graphics from strangers or for competitions that I haven't entered. Fallen Angel Ceres was the first person to send me this 10 year site birthday present! Thanks so much! Really nice! 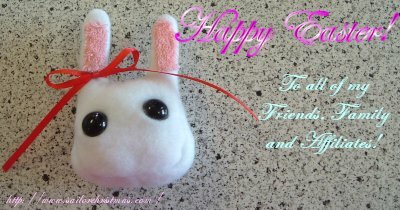 Usagi sent me this lovely easter pressie! Cheers! 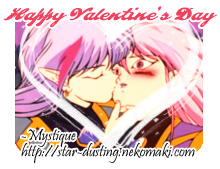 Noa gave me this really well designed Valentines Day present! 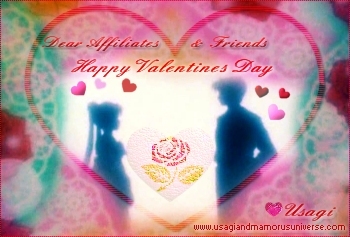 Usagi sent me this charming Valentines Day pressie! Cheers! Noa rang in the New Year with this ver nice card! Happy New Year! Icera sent me this beautiful icon as a Christmas present this year. I love it! Elly also sent all her affiliates for her other site, Ballads & Bows this Christmas card! Two cards! Woo Hoo! 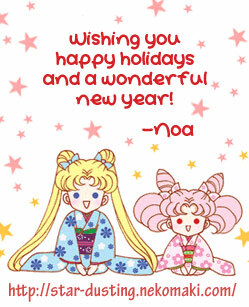 Elly from the recently relaunched Sailor Moon Funny Faces Gallery sent me this nice Christmas card. Thanks! In December, Moonkitty.NET won the award for Best Writing in the first Deep Submerge Awards! Such an honour and definitely a highlight of 2008! Thank you everyone who nominated and voted for me! 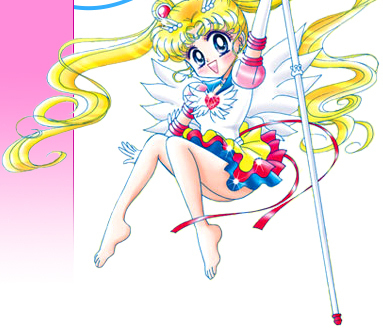 After completing my live action Sailor Moon guide, Icera sent me this great edit of the avatar I used when I announced it's completion. Thanks so much Icera! Best affiliate ever! Icera really outdid herself this year! On Christmas eve she sent all her affiliates two homemade buttons for their sites! What a great Christmas pressie!!! Got this on the 22nd December 2006 for Christmas from my affil', FallenAngelCeres! Merry Christmas! Got this on the 16th April 2006 for Easter and it was such a nice suprise! 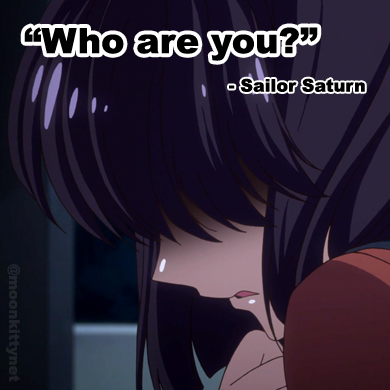 I wasn't expecting this at all! Cheers FallenAngelCeres! Probably the biggest honor Moonkitty.NET has recieved, The Site of the Month Award at the excellent Deep Submerge Directory in October 2005!